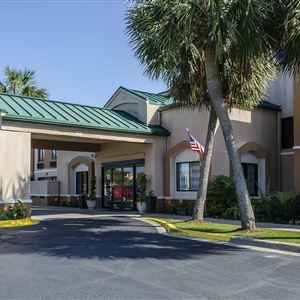 Property Location Located in Miramar Beach, Sleep Inn Destin is by the ocean and minutes from Silver Sands Premium Outlets and The Emerald Sanctuary. This hotel is within close proximity of Destin Yarn Shop and Sirens at the Beach. Rooms Make yourself at home in one of the 76 air-conditioned rooms featuring refrigerators and microwaves. Complimentary wireless Internet access keeps you connected, and cable programming is available for your entertainment. Private bathrooms with showers feature complimentary toiletries and hair dryers. Conveniences include desks and complimentary weekday newspapers, and housekeeping is provided daily. Amenities Enjoy the recreation opportunities such as an outdoor pool or make use of other amenities including complimentary wireless Internet access. Guests can catch a ride to nearby destinations on the area shuttle (surcharge). Dining A complimentary hot/cold buffet breakfast is included. Business, Other Amenities Featured amenities include a business center, complimentary newspapers in the lobby, and a 24-hour front desk. Free self parking is available onsite. 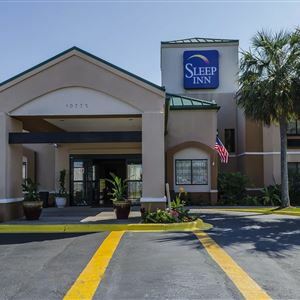 Located in Miramar Beach, Sleep Inn Destin is by the ocean and minutes from Silver Sands Premium Outlets and The Emerald Sanctuary. This hotel is within close proximity of Destin Yarn Shop and Sirens at the Beach. Make yourself at home in one of the 76 air-conditioned rooms featuring refrigerators and microwaves. Complimentary wireless Internet access keeps you connected, and cable programming is available for your entertainment. Private bathrooms with showers feature complimentary toiletries and hair dryers. Conveniences include desks and complimentary weekday newspapers, and housekeeping is provided daily. Enjoy the recreation opportunities such as an outdoor pool or make use of other amenities including complimentary wireless Internet access. Guests can catch a ride to nearby destinations on the area shuttle (surcharge).